Newsletter: Whatsapp's New Updates & Could Apple Watch 3 Become the Next Smartphone? 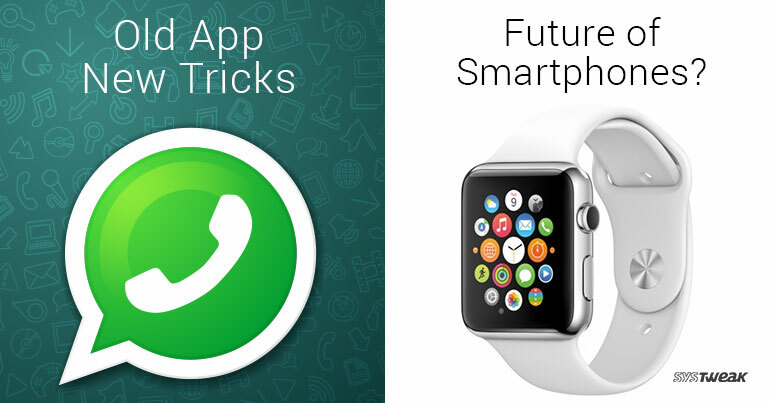 Newsletter: Whatsapp’s New Updates & Could Apple Watch 3 Become the Next Smartphone? WHAT IS PICTURE-IN-PICTURE VIDEO CALLING? As its name suggests, this feature allows users to carry on other tasks while making a video call. Picture in Picture (PiP) will minimize your video call window, thus allowing you to text your other friends while being connected to the video call. The minimized window can also be positioned anywhere on screen as per user requirements. This feature not only makes video calls less messier than before, but also adds multitasking abilities to Whatsapp messenger. WHAT ABOUT STATUS UPDATE FEATURE? Although PIP aims to improve Whatsapp’s functionality, the new Status feature pushes the messenger platform towards social media. Users can now share rich-text status updates along with videos and photos. This would definitely expand Whatsapp’s horizons beyond a simple messenger and video calling app. To update a text status, users can simply go on the status screen and click on the ‘Pencil icon’ to add a simple text status. This status will be visible to all your contacts for the next 24 hours along with user comment feature. IS FACEBOOK TRYING TO CANNIBALIZE ITS OWN PLATFORM? Ever since Whatsapp was acquired by Facebook, there were speculations about both apps eventually becoming part of a single service. That however, didn’t come to pass but now it seems Facebook is trying to make their own social media platform obsolete. As Whatsapp messenger is already one of the most used messaging platform alongside Facebook Messenger, adding a status update feature could give more power to Whatsapp. So regardless of what happens, it sure sounds like a winning situation for Facebook, and users are certainly not complaining. Unlike the anticipatory failure of iPhone 8, Apple Watch series 3 takes technology to the next level. SO IT CAN BE USED TO MAKE PHONE CALLS? Surprisingly, yes! Apple Watch 3 is fully loaded with Cellular and GPS capabilities allowing users to send and receive phone calls directly. What’s even better is it uses the same phone number as your iPhone so you don’t need to get an additional phone number. It also pairs with both new and old AirPods so customers can make phone calls simply via voice commands. This is all possible due to Apple’s trademark ‘screen antenna’ that utilizes the watch’s display as for transmitting and receiving LTE signals. It also comes with a pre-installed sim card that has been miniaturized to save space. DO I STILL NEED AN IPHONE TO OPERATE APPLE WATCH? Unfortunately for wearable enthusiasts, Apple Watch 3 still doesn’t allow you to avoid owning an iPhone. It’s LTE compatibility is still limited and it still relies on iPhone (version 6 and above) to function. When asked about this Apple officials promptly clarified that this was only for when initially setting up your new Apple Watch 3. After which, users will be able to operate the watch independently without having to carry their iPhone. This might sure sound like a bummer for people who simply wanted a smartwatch to replace the smartphone. However, we can still be hopeful that this will be fixed in the future and we could actually see smartphones becoming obsolete.